Your cat's digestive health can be negatively affected by many things. The good news is that you can help your cat feel better with a food that is formulated to provide the digestive care they need. 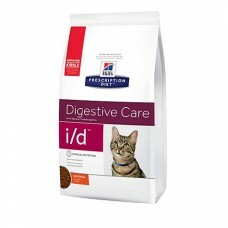 Hill's nutritionists & veterinarians developed Prescription Diet i/d, nutrition specially formulated to help improve digestion and stool quality in cats.